A Sacramento Superior Court jury is attempting to decide who is responsible for a motorcycle accident that left a passenger with brain injuries – Harley-Davidson and one of its dealers or the driver who crashed the motorcycle. The driver said he slammed on the brakes when traffic backed up while he was traveling 65 mph. The brakes locked up the rear wheel sending the bike into a slide; his now estranged wife was catapulted 35 feet forward onto the pavement. The woman suffered a serious brain injury; skull, facial, rib, and scapular fractures. She now has a prosthetic skull and permanent brain softening. Pain and assorted disorders will render her unemployable the rest of her life. Her attorney said she will sustain $2.6 million in lifetime economic damages. At the time of the accident, her husband told police that the antilock braking system (ABS) had somehow malfunctioned. But, there is another key fact in this case – the bike never was equipped with an ABS even though an icon on the motorcycle's tachometer suggested it did. The plaintiff contends that a salesman at the Harley-Davidson dealership negligently misled the couple to believe that the 2008 Road Glide cruiser had an anti-locking brake system when it did not. The defense contends that if the motorcycle had been equipped with ABS, the icon would have illuminated; the couple should have known that if the icon never lit up, the bike was not equipped with antilock brakes. The defendant also said, “There is nothing odd or unique about having an ABS icon on a non-ABS bike; adding a separate tachometer for the two types of bikes would bring the assembly line to a halt.” Harley-Davidson contends that the plaintiff is totally at fault because the couple should have known the bike’s features after owning it for 15 months. The jury must decide whether the ABS icon on motorcycles without ABS brakes constitutes a design flaw. If Harley-Davidson is found at fault, the manufacturer would be liable to the plaintiff for 2.6 million dollars in damages and no doubt be forced to issue a massive recall. Such a decision could affect all motorcycle manufacturers. There is very little that a motorcyclist can do when the wheels lock. According to the Insurance Institute for Highway Safety, there are proven benefits of an anti-lock braking system on motorcycles (increases driver control, decreases stopping distance, prevents the wheels from locking up in case of a hard brake), however, motorcycle manufacturers have not exactly raced to mandate these technologies and the ABS is still an optional feature on motorcycles. Could antilock braking systems on motorcycles help save lives? The Insurance Institute thinks so. It is disappointing that motorcycle manufacturers have not prioritized safety and believe that there is little demand for these safety devices. While the debate continues and more research is conducted, Lawsuit Financial encourages cyclists to drive the speed limit, obey the rules of the road, and consider investing in an antilock brake system. It’s a small price to pay for your life. 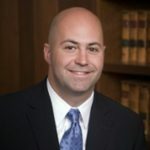 Mark Bello has thirty-three years experience as a trial lawyer and twelve years as an underwriter and situational analyst in the lawsuit funding industry. He is the owner and founder of Corporation which helps provide cash flow solutions and consulting when necessities of life funding is needed during litigation. Bello is a Justice Pac member of the American Association for Justice, Sustaining and Justice Pac member of the Michigan Association for Justice, Business Associate of the Florida, Tennessee, and Colorado Associations for Justice, a member of the American Bar Association, the State Bar of Michigan and the Injury Board. With such massive head injuries, I must assume the passenger did not have the protection of a helmet. If she did, then the helmet did not do its job. Riding and not wearing a helmet is just plain stupid...enuff said on that subject. As to the Icon, I have ABS on both my cars and in 3 years have never seen it light up as I am a good driver and don't put myself in those conditions. I do agree with the plaintiff that if the icon is there and the bike is not so equipped, the fault lies with the dealer for not pointing out this fact. Not sure 15 months of riding would make its absence that obvious. On similar bikes, the dealer could easily put a blocking sticker over the ABS light as a reminder. Nothing here has been said of the bike speed and the lack of proper attention to traffic by the rider, resulting in his failing to ride to conditions. I think it is a 50/50 here...with all parties culpable.